WOur teaching philosophy is based on the Montessori method of care and education. The Montessori Room caters for children between 3-5 years of age. Led by a Montessori teacher and assistant we create a child centred environment, where children will be stimulated in every area of their development. Lay the foundation for later learning and set children on a path for school, work and life. We believe that the emergent child led curriculum is an essential tool, for our staff to follow. 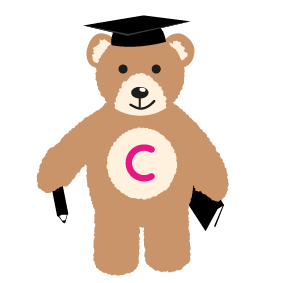 This will enable our staff to nurture and guide each child through their time at Coco’s Childcare. 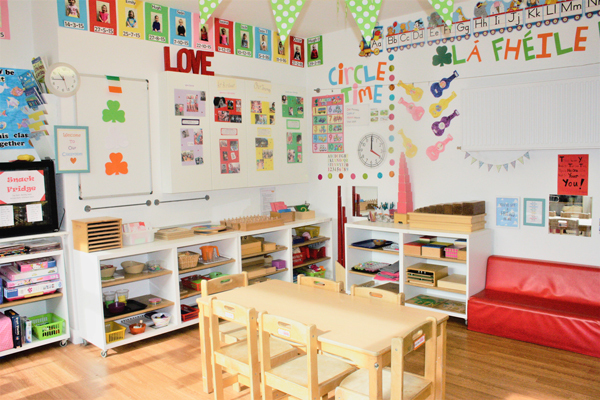 The ECCE is offered in this room within a full day care setting. These are everyday tasks that children adore to complete, not just for the end result – such as polishing a shoe, but because they enjoy the activity in itself. Directly they teach the child a skill, indirectly they promote and refine the child’s gross/fine motor development, concentration, hand and eye co-ordination and independence. This in turn will encourage the child to be self-aware and confident. These activities encourage the refinement of the child’s senses and give them experiences that enable them to be more aware of the world around them. They enhance visual discrimination, auditory awareness and chromatic sense to name a few. Indirectly they prepare the child for later language and mathematical work. Earlier work with practical life and sensorial exercises will have indirectly prepared the child for basic linguistic and numeral operations. The apparatus relevant to these areas introduces the child directly to the world of spoken and written language, as well as basic numerical and mathematical operations. The world of biology, geography, zoology and science will be opened to the child. These activities are designed to promote experiences that encourage the child to see and involve himself in the world around him. Through various group projects and activities, the child’s creative attributes will be explored. This will encourage self-awareness, confidence, self-esteem and a positive self-image. In this age group, children’s identities, knowledge, understandings, capacities, skills and relationships change. Our Montessori Classrooms is equipped with Dr. Montessori’s apparatus; the teachers within them have the knowledge and experience to guide the child into self-discovery and self-construction of themselves and their capabilities. The child’s day is structured around a three-hour work cycle in the morning; this includes one to one teaching, morning snack, and group activity, outside play, lunch and a group circle time. Monthly projects feature strongly within circle time. Through the exploration of the specially designed materials, the staff will observe each child’s own method of learning such as visually, aurally and kinaesthetically. Although we work within the three-hour work cycle, the materials will be available for the children to work with throughout the day provided they are used respectfully. We intend to provide the older preschool children with the necessary skills and knowledge to achieve their best when undergoing the transition to primary school. Towards the end of their time with us, the children are introduced to aspects of traditional teaching in preparation for their next stage of learning.